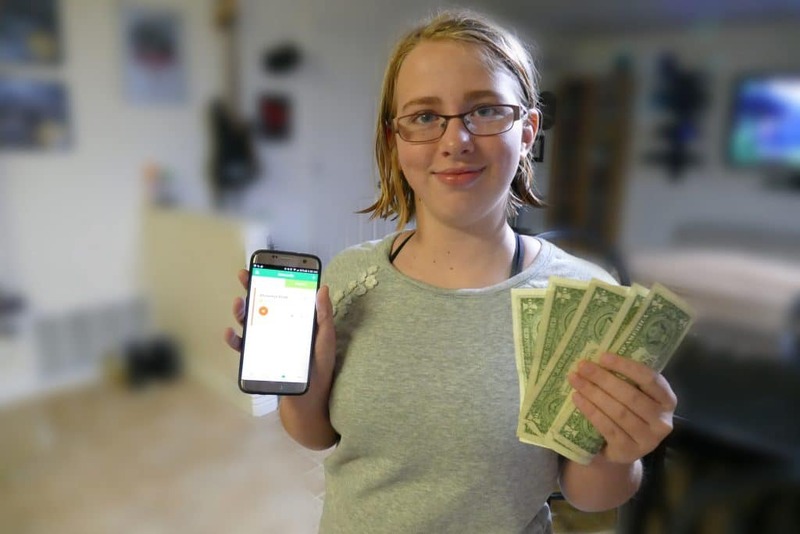 I mentioned the other week that we are trying out a new system for managing chores and allowance in my family. The laminated checklist served us well for many years, but it’s time to go digital! 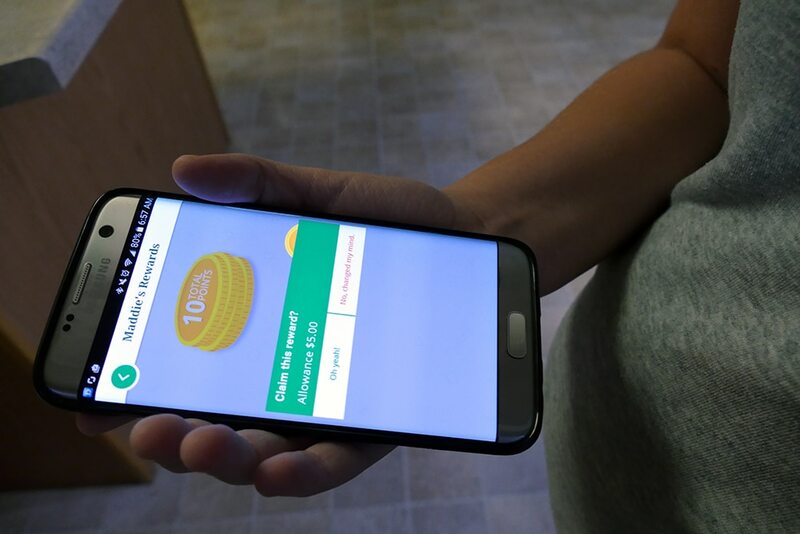 We started using ChorePal by COUNTRY Financial® a couple of weeks ago, and I think it’s safe to say I am throwing the laminated version out the window! The app is incredibly easy to set up and use. I looked at our regular checklist and just started adding the items to ChorePal. The user experience of the app is extremely clean! 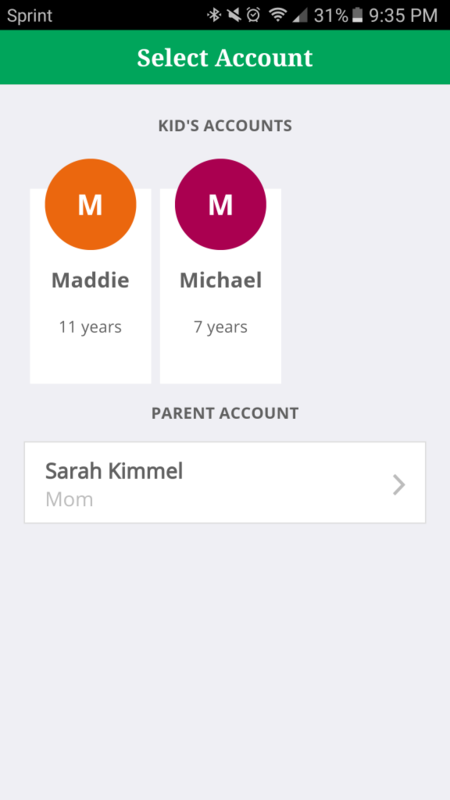 Once you set up your account and login, you will be greeted with this page, asking if you are using the app as one of your kids, or as the parent. 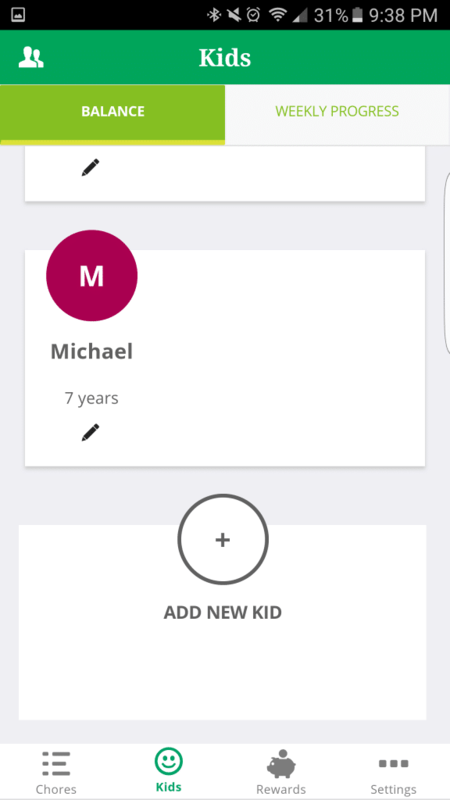 If you choose the parent section, you can see what chores haven’t been completed yet today, which chores are waiting for you to approve, and which chores are already completed. The only thing I don’t like about this, is there isn’t really a password to protect the parent section, so your kid could just go in and approve all the chores. If you look later, though and see they are all in the “completed” section instead of waiting for approval… then someone is getting in trouble for sure. So, while it’s not ESSENTIAL that the parent area be protected, it sure would be a nice feature. 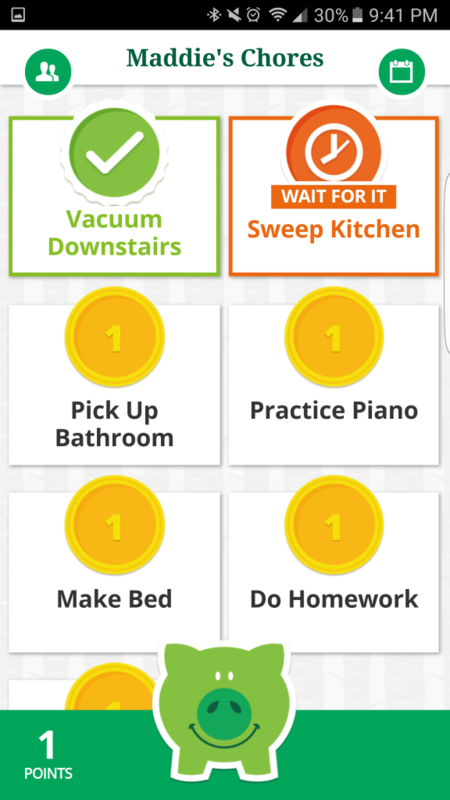 In the parent section, you can also add and remove children from the app, and set up chores and rewards. When setting up a chore, you can assign it to one of your children or all of them! For example, something like “pick up room” is going to be something EVERY kid gets to do, but only one of them needs to clean the bathroom. 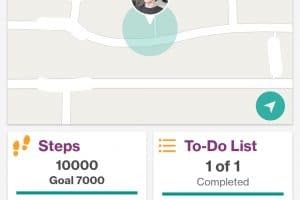 This makes it super easy to add chores that everyone has to do, and they will each be able to complete it and get their own rewards, even though you only had to create the chore once. 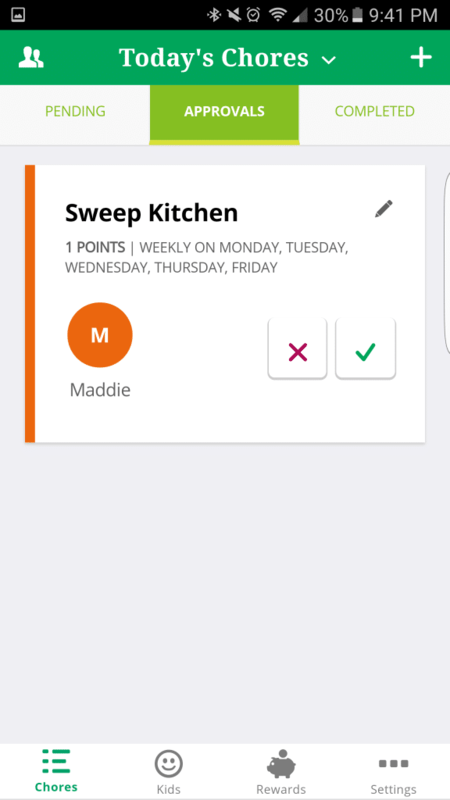 You can also create chores on a one time, daily, weekly or monthly basis! You or your child can look at just today’s tasks or all the upcoming tasks for the rest of the week. 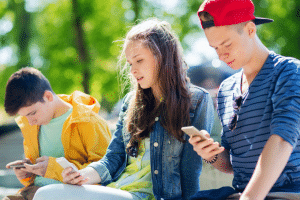 Setting up the rewards for your children is a snap too. 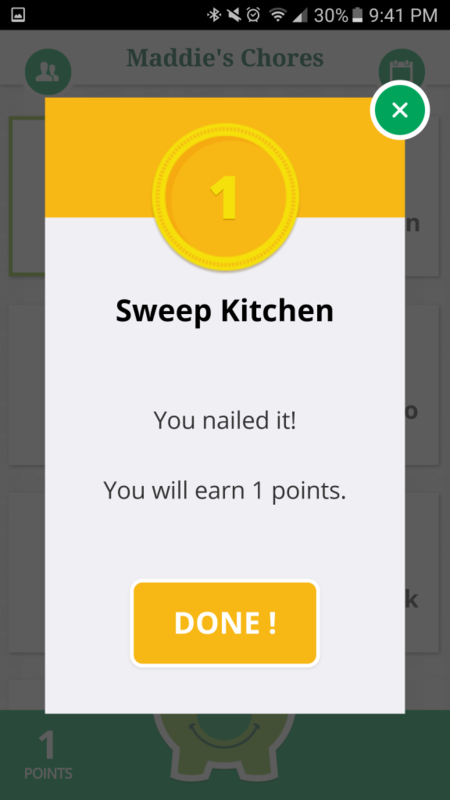 You can assign point values to the chores, or dollar values to the chores. 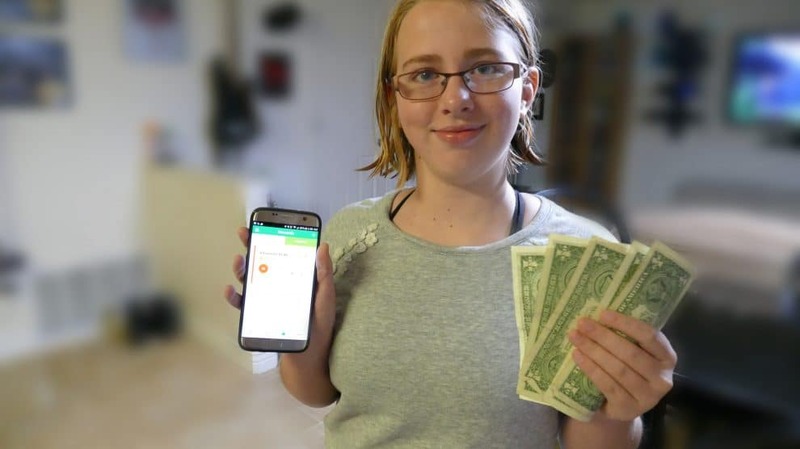 Since we are an all or nothing kind of family, we do points, and if the kid gets 10 points, they can cash it in for her allowance of $5.00. Moving over to the kids side of things… There are large buttons for them to tap to check off the chore and say that they have completed it. What I would REALLY like to see in the future is sub tasks for the chore. Say “Clean Bathroom” is one of the chores, I’d love to see a popup with a small checklist of things they need to make sure are done before the whole task is complete like: take out the trash, clean the toilet, wipe the counter, clean the mirror, etc. Once they have completed all of their chores and they are ready to cash in their reward, they submit the points to you for approval. I really like that the responsibility is on them to turn in their work to earn the rewards. It’s very much like turning in your time sheet at a real job to make sure you get paid. It’s not your boss’ responsibility to make sure you get paid, it’s YOURS. I love this lesson for the kids! We are definitely loving ChorePal by COUNTRY Financial®! It’s totally free, so feel free to download it and try it out for your family! Let me know what you think about it!